As the sought after cocoa butter works wonders on your skin, its chocolaty smell stays with you all day long and give your sensual desires an all new high. With the naturally calming and refreshing properties of Lime, energize and rejuvenate you skin, leaving it clean and soft. How to Use: Grab the soap bar, run it all over your body covering yourself in its rich lather. Then thoroughly rinse yourself off. No more skincare confusion for combination skin. Our handcrafted Calendula Rosemary Shea Butter is the perfect blend of herbs and essential oils to serve your combination skin. We offer wide assortment of Melt and Pour Soap Bases , defined such that they meet desires of different markets. They are perfect for MAKING premium quality showering bar by medium to huge scale ventures and even little store enterprises. As of late, we have seen an expanding interest for sulfate free individual care items. 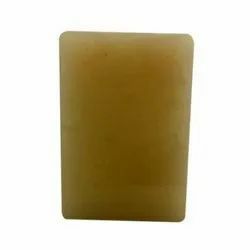 These Shea Butter Soap are processed by making use of Shea Butter and Lavender basil essential oil that have calming scent and sooth nerves. Furthermore, conforming to the defined parameters of the industry, these soaps form creamy lather and make skin soft, smooth and clean. 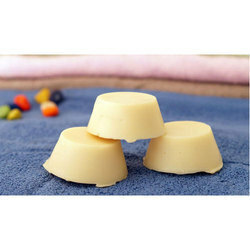 Ingredient: Soap Base, Shea Butter, Glycerine, Fragrance, CI45430, CI42090. Creamy and decadent , i hold the key to reversing skin damage through nature, i clear your acne, fight ageing, amke your skin firm, & plump and am also a natural sun screen.so many benifits that too from a single fruit.